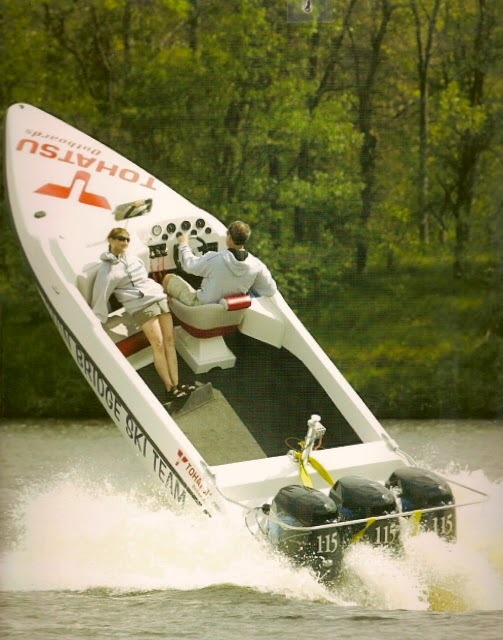 Over the years we have produced many variations of Dyna-Ski Boats. 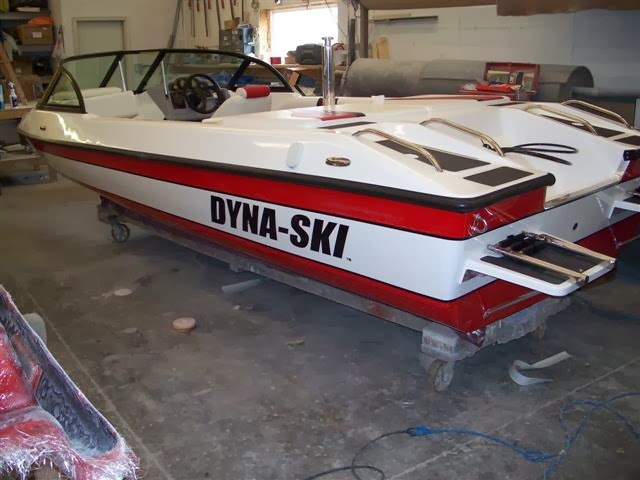 With different colors of boats and two basic types of Dyna-Ski decals. 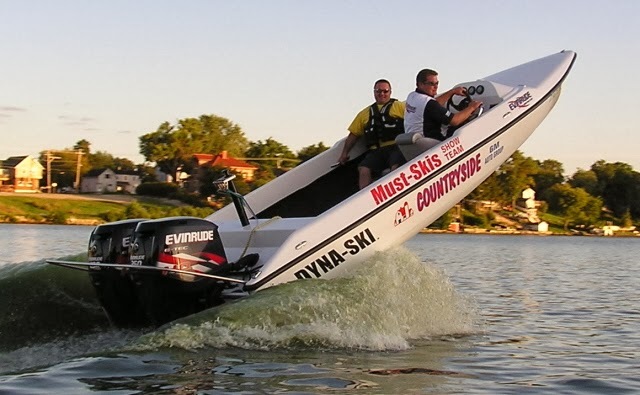 To give you an idea of what is available here are some of the things we and customers have done on Dyna-Ski Boats. Keep in mind that wraps are popular now and almost anything is possible if your pocket book and heart permits it. We made duplicates of the decals, recovered the original seats and embroidered them just like the original Hydrodyne seats were replacing the back seat with a new style Dyna-Ski Rear seat. Warning: The final cost isn't for the faint of heart. 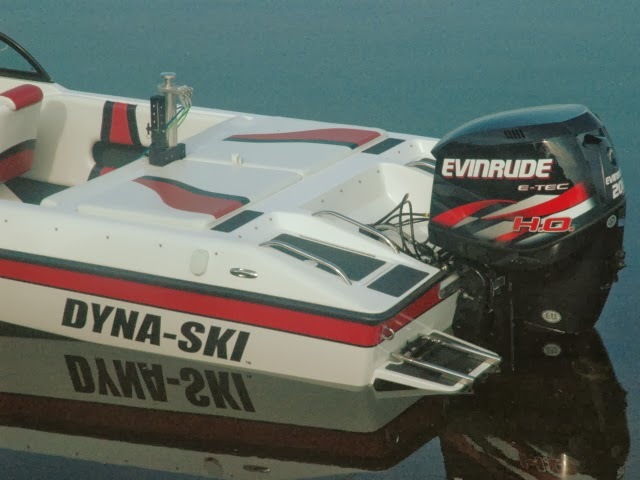 The basic Dyna-Ski design is white hull with black letters. Ski Teams often add their name and sponsor decals. White boats are not dated like a colored boat can be. 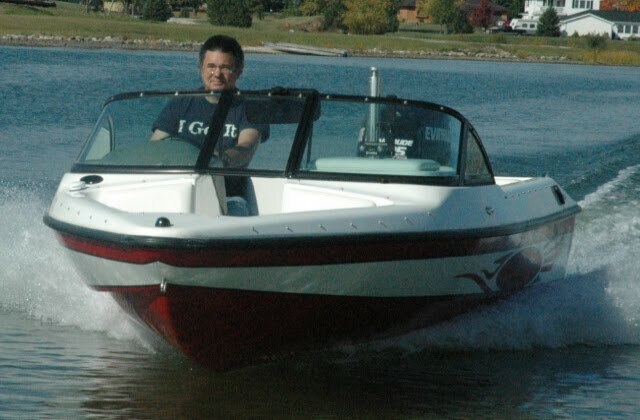 is standard on Open Bow Dyna-Ski Boats. This is a 20' Open Bow with a sun deck and three color interior. Black Letters on a white hull with red top and bottom stripes. 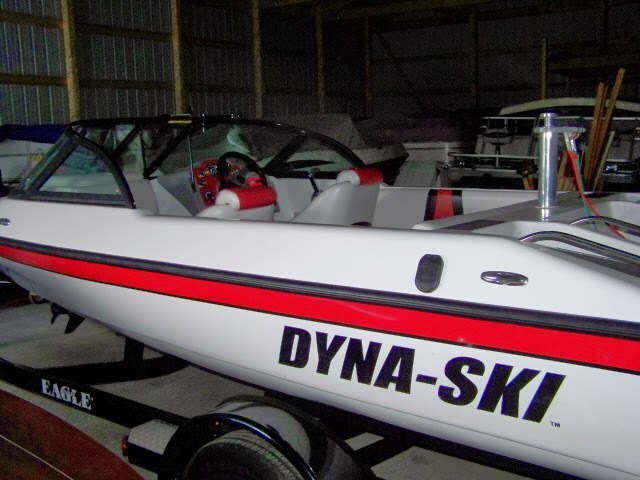 Bottom color is an option on Dyna-Ski Boats. Dyna-Ski Oval decals was the next version we added to the offerings. 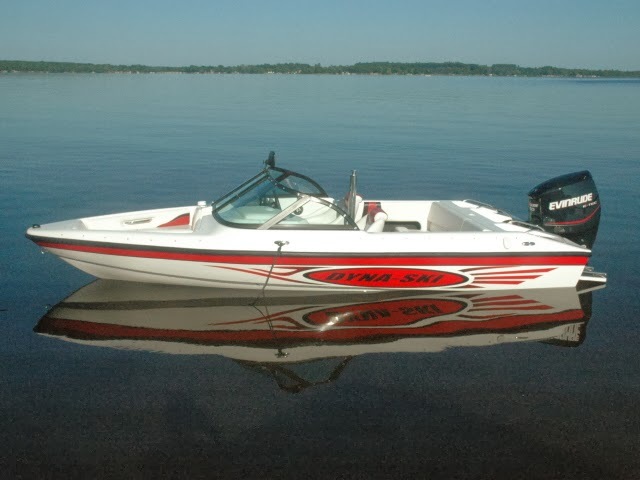 Versions have been done in red and blue with the boat model often added below the Dyna-Ski name. 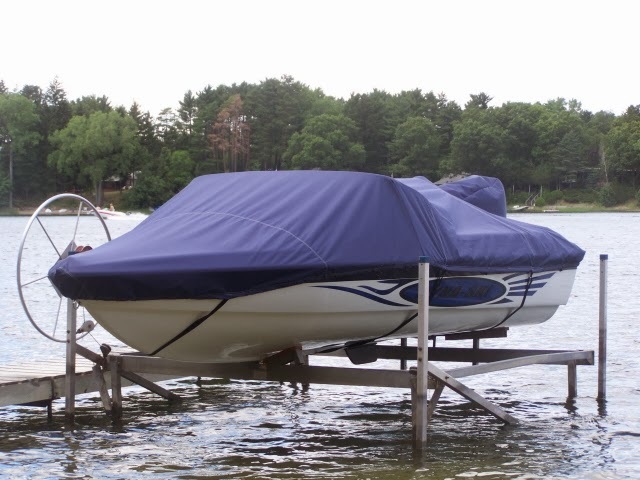 This 17.6 Open Bow has an optional front mounted pylon. Ski Cats Ski Team has three color hulls. Original designed Dyna-Ski Oval on the twin (right) and newest oval version on the single 20' Closed Bow Model (left). 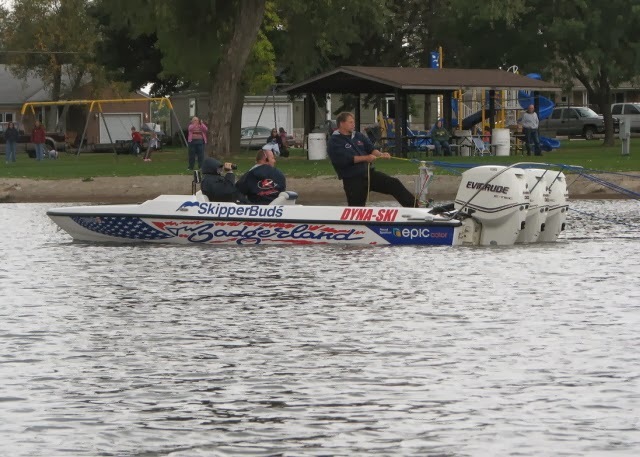 Badgerland's Triple 300 Guinness World Record Tow Boat has a wrap done by their sponsor. 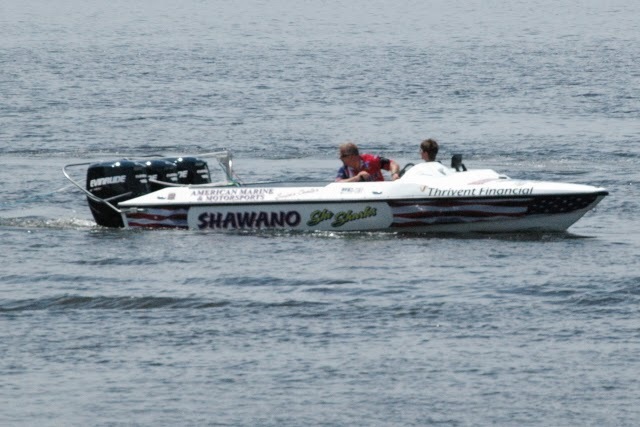 Shawano Ski Sharks have two wrapped Dyna-Ski 20' Closed Bows. 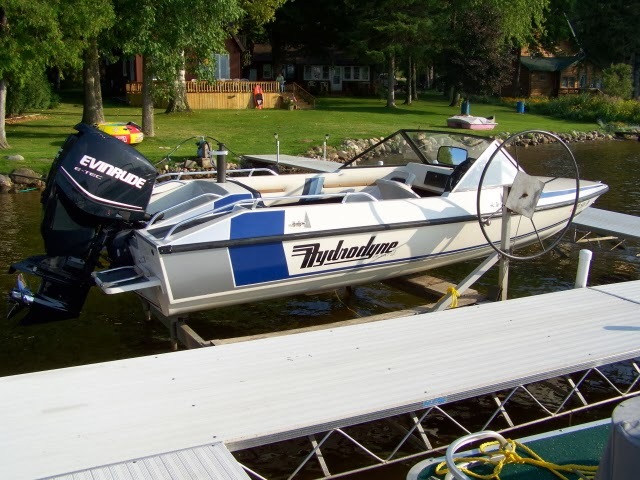 Dyna-Ski Oval decal in blue on a 17.6 with a 75 Evinrude E-Tec. 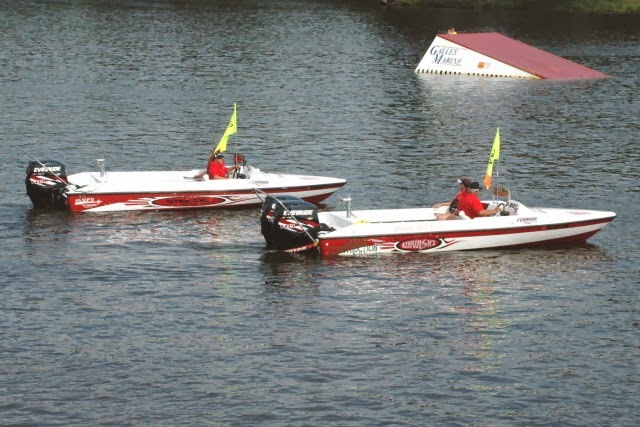 Several ski teams have two Dyna-Ski Triples like the Back Water Gamblers. 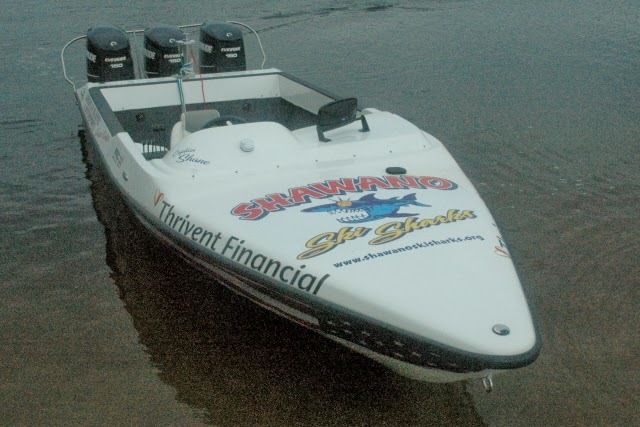 One with three 250 HO Evinrude Motors. One with three 225 Mercury Motors. sold to the Crandon Ski Team. No telling what the summer of 2014 will bring with decals and wraps.